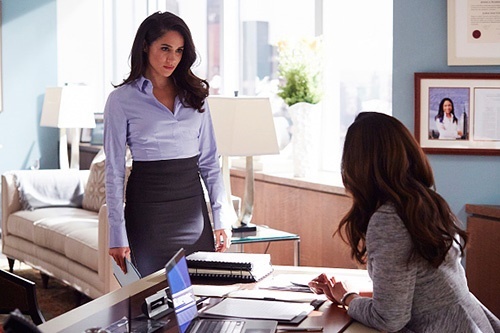 This activist and Suits star is engaged to Prince Harry, and we are already speculating about her wedding gown. 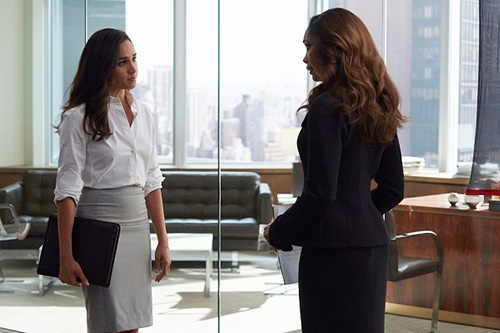 You probably know and love Rachel Zane's signature paralegal style on the drama Suits. You know, the high-waisted pencil skirt and crisp, tucked in shirt with (often) rolled up sleeves. But what does Meghan wear? Well this 36-year-old actress' style isn't too different from her character's, but it is admittedly more daring. When it comes to dresses, she prefers them short or at least just long enough to still show off her legs. However, her ensembles where pants are involved are where we see her real flare for fashion. And yes, she does wear actual suits too. We rounded up some of our favourite looks from the humanitarian activist in the name of trying to spot a pattern (pun intended) for a potential wedding dress. Will she go for an A-line cut? Or will Meghan opt for the classic mermaid dress? 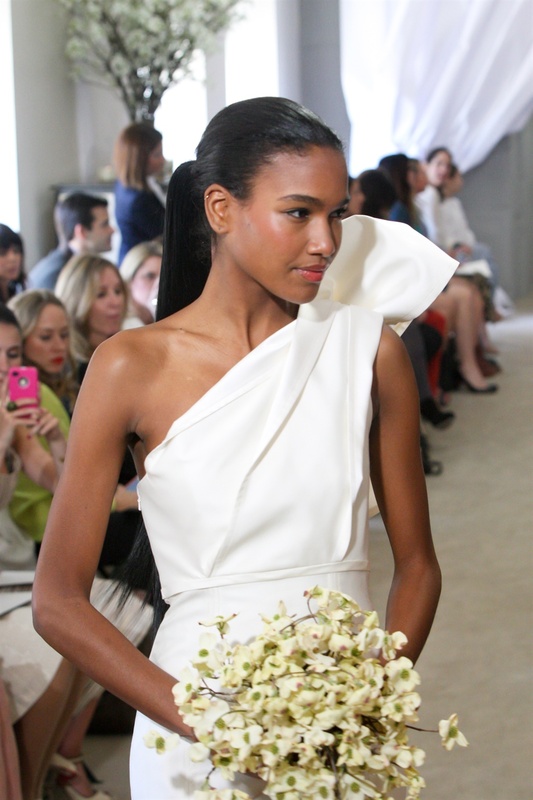 A good 'ol dramatic bow has never failed a bride before. Maybe a more subtle shoulder vibe? 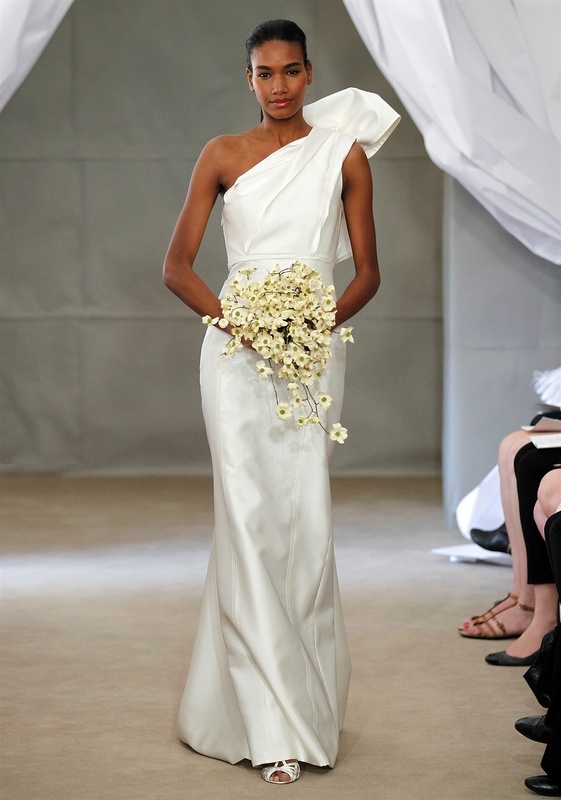 We adore this dress by Carolina Herrera. How about a rule-breaking bold colour? Perhaps Prince Harry's bride will keep it traditional and classic in a white dress, while also staying true to her taste for short dresses. 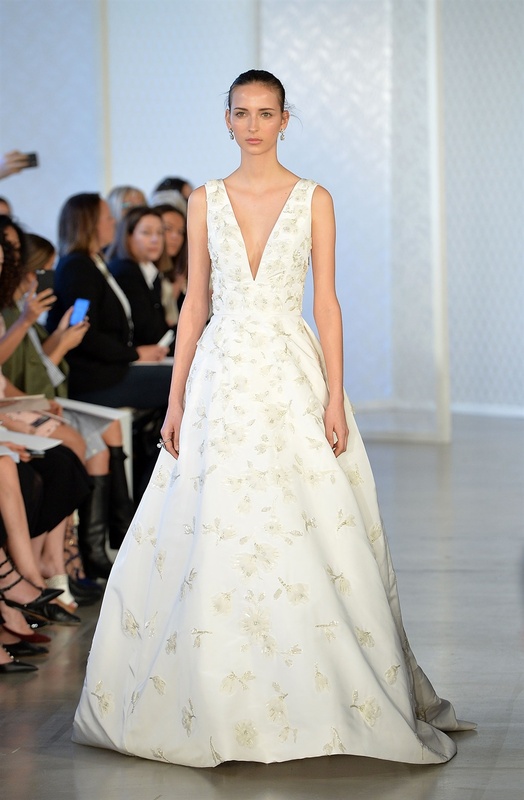 Or go for something with clean lines and a bit of cleavage, like this Spring 2017 gown by Oscar de la Renta.